After 40 years combined experience of our directors within the IT and audio visual industry, particularly in the hospitality sector, we have unparalleled knowledge of products, technical specifications, new technologies and installation procedures in the audio-visual and IT world. From EPOS cabling and display screens to audio and meeting room solutions, we have it covered. If you have an idea of what you are trying to achieve from a solution, we will consult and advise you on a complete solution which meets your individual requirements. 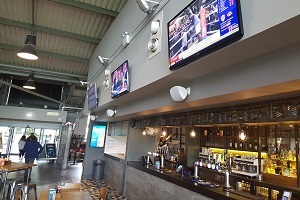 Some of our most frequent installations include, audio solutions including multi-zone amps with speakers; flat screens for the display of sporting events; structured cabling for EPOS till systems; digital signage for branding and advertising; CCTV and access control to keep your premises secure and wireless networks. Whatever your requirement, we don’t restrict the products and manufacturers we partner with, so that the advice you get is completely objective, up to the minute and cost conscious. We understand that providing up to the mark facilities and equipment to your delegates and guests is the key to improving their experience and will ultimately maximise your profits as a business. This is why we work closely with our hospitality customers to ensure that each solution we install for them is professional and of top quality without breaking the bank. From meeting room presentation equipment including projectors and screens, to laptops, network point installation, wireless, audio solutions, CCTV, access control and digital signage, you can rest assured that we can cater to your every need when it comes to the hardware solution you need. 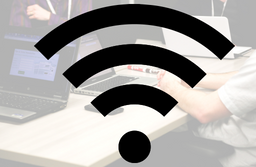 We have partnered with RUCKUS and Extricom to install good quality wireless networks to our customers. For more information, please call 0844 209 6768 for a free site survey to discuss the solution and design a solution which fits your requirements. 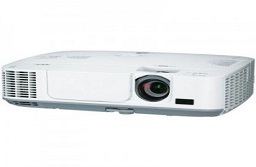 We can supply and install all types of projectors from free standing to mounted standard throw and ultra short throw projectors and screens. Just let us know your requirements and we will advise you on the solution that's best for you. 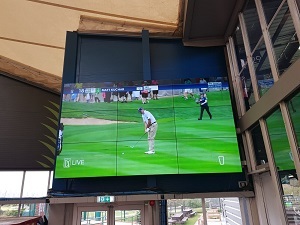 Showing live sporting events can be a key factor in attracting customers to your venue, particularly during international sporting tournaments. Samsung is one of the more popular brands we install but we can work to your preferred spec. Audio solutions are one of our most frequently installed solutions. 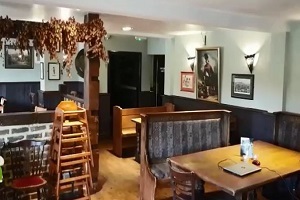 We recently transformed the audio in a pub whose system had not worked properly for 4 years. This dramatically improved the atmosphere of the venue, thus increasing sales for the owners. Protecting your property and the staff and visitors is very important to business owners and managers. 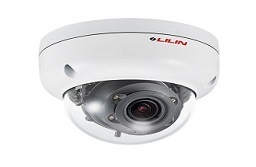 We install IP CCTV to most of our customers due to the picture quality and capacity to remotely access the footage. We will advise you on the right solution and post-installation, can even maintain your cameras regularly to ensure they are working to their full potential. Paul recommended the best solution for us with regards to new installs of speakers, amps and a rewire of our current TV system. 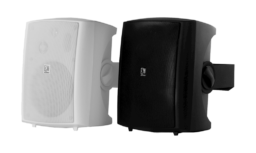 Needless to say after speaking with many different companies we were extremely satisfied with Protech’s service and recommendations for a new sound system utilizing the Elcer Speakers. The service hasn’t stopped there with follow up visits and ensuring the system is performing at its best and of course the added advice and time that Paul has put into helping us with other projects we have on the go as well has been invaluable. 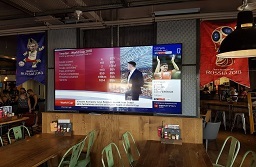 We would highly recommend Protech and their team of technicians to anyone looking to install any Audio Visual equipment and we look forward to working with them again in our future projects.